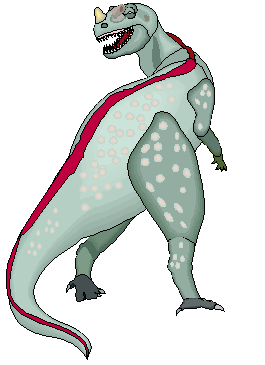 Ceratosaurus was a carnivorous (meat-eating) dinosaur that lived during the late Jurassic period, between approximately 156 and 145 million years ago. It was probably between 15 and 20 feet (4.5 to 6 meters) long, and probably weighed around 1 ton. One of the most immediately recognizable features of Ceratosaurus is the short horn on its snout. Other noteworthy features include its massive tail and its four-fingered hands (which is considered a primitive configuration). How do scientists classify Ceratosaurus? What fossils of Ceratosaurus have been found? How did Ceratosaurus get its name? What does its name mean? Why did Ceratosaurus have a horn on its nose?